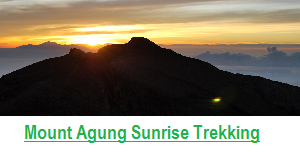 Best Sunrise trek and White water rafting tour – where you will experiencing the real nature adventure tour of Bali Island, we created this package to to offering you double impressive experience by allowed you to trekking the Mount Batur Volcano to see amazing sunrise from the top of the mountain and then continue to do the White Water Rafting at Ayung River ubud. Is the perfect combination we created to make your holiday unforgettable. 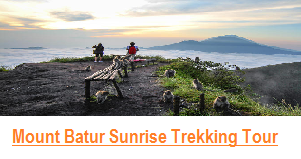 This Tour package start from early morning at 02.00 am from your hotel, and directly to Trekking Point of Mount Batur, the trek will be start at 04.00 am and At Approximately 6am, you’ll arrive at the summit to take in the breathtaking view of Lake Batur ( the largest crater lake in Bali) and witness the spectacular sunrise over the misty vista from the top Mount Batur. 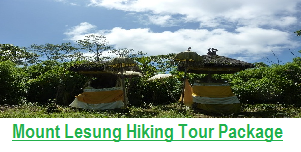 While enjoying the view, our trekking guide will even show you how to cook an egg in the volcano’s steaming fissures.the trek will finish at 09.00 am, then we continue second adventure, 2 Hours Rafting at Ayung River, The rafting tour will be started at traditional Balinese wantilan design Lobby of Toekad Rafting. 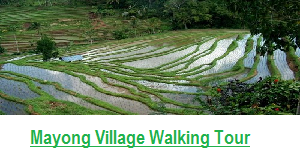 Set in the middle of green rice field overlooking to the breath taking Abang mountain,. For approximately 2 hours you will have the highest enjoyment of rafting and as well experience an unrivaled way to appreciate the natural scenery, wildlife, and exotic plants of Bali. UBUD USD$69/person ( Minimum 2 Persons ) Return transfer with Private air conditioner car, Private Guide, Trekking Breakfast Arrangement, All trek equipment, Mineral Water, Coffee or Tea at top of the Mountain ,Donation to the Village of Kintamani, Rafting adventure tour, Insurance, and Lunch. 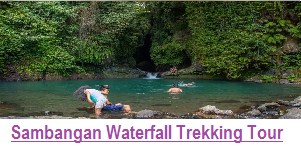 SEMINYAK, KUTA, CANGGU, KROBOKAN, LEGIAN, SANUR USD$72/Person ( Minimum 2 persons ) Return transfer with Private air conditioner car, Private Guide, Trekking Breakfast Arrangement, All trek equipment, Mineral Water, Coffee or Tea at top of the Mountain ,Donation to the Village of Kintamani, Rafting adventure tour, Insurance, and Lunch. NUSA DUA, JIMBARAN, ULUWATU USD$85/person ( Minimum 2 persons ) Return transfer with Private air conditioner car, Private Guide, Trekking Breakfast Arrangement, All trek equipment, Mineral Water, Coffee or Tea at top of the Mountain ,Donation to the Village of Kintamani, Rafting adventure tour, Insurance, and Lunch. LOVINA , PEMUTERAN USD$85/person ( Minimum 2 persons ) Return transfer with Private air conditioner car, Private Guide, Trekking Breakfast Arrangement, All trek equipment, Mineral Water, Coffee or Tea at top of the Mountain ,Donation to the Village of Kintamani, Rafting adventure tour, Insurance, and Lunch. AMED USD$89/person ( Minimum 2 persons Return transfer with Private air conditioner car, Private Guide, Trekking Breakfast Arrangement, All trek equipment, Mineral Water, Coffee or Tea at top of the Mountain ,Donation to the Village of Kintamani, Rafting adventure tour, Insurance, and Lunch. 1- Our service is private we not use sharing transportation and guide, it’s will exclusive for you only, for your best experience. 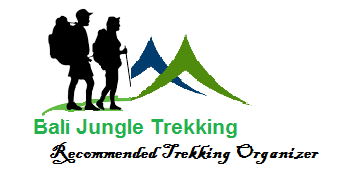 2- We are very flexible – if you would like to make a stop at some interesting places after the trek, we will happy to arrange it for you without any additional charge for transportation as long it’s still one same direction to your hotel. 4- Not all Agent provide tea or coffee at the top of the mountain, because the price of Coffee or tea at the top of the mountain is bit expensive. But we already make it included in the price. 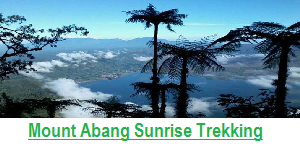 Please don’t worry if you would like to explore Mount Batur And White water rafting combination adventure tour package during rain season, as we already prepared all the equipment to anticipate rain coming during the trek, our professional guide will make sure you have a safe adventure tour. Just send us an email, and advise us the detail of your hotel, your name, and date of the tour, then we will send you the booking confirmation.